This dredge, DMC model no. 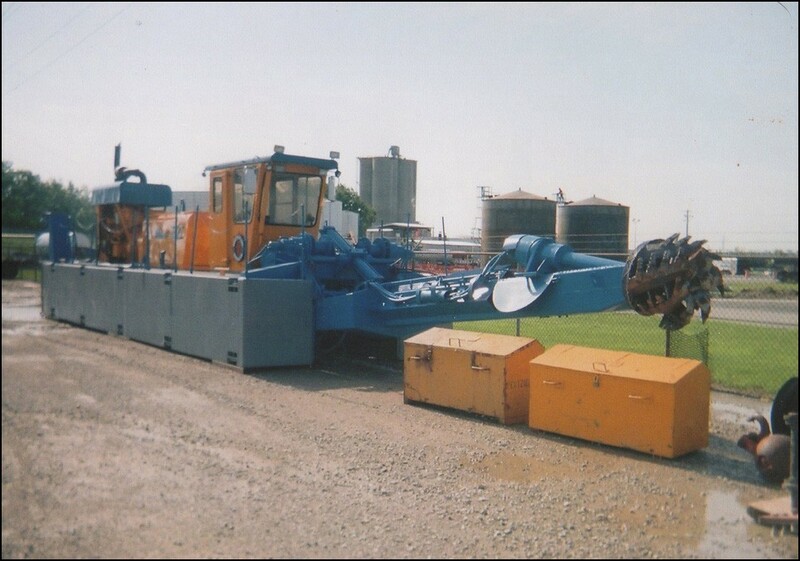 CSD-350, was manufactured by Dredge & Marine Company in 1997 for a Nebraska sand & gravel operation. The center hull section is provided with a specially-built bogey and gooseneck, allowing transport of this hull component without loading on a trailer. 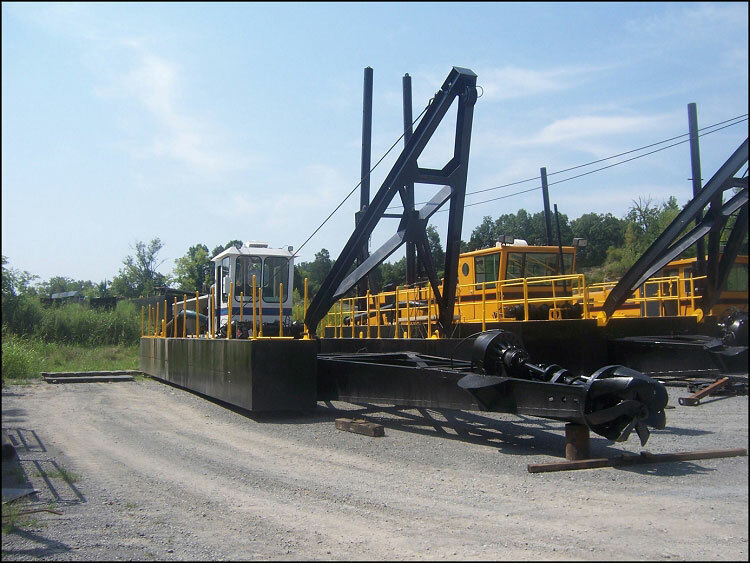 Primary machinery includes a Thomas Simplicity 14 x 14 – 36 dredge pump powered by a 750-hp Caterpillar 3412 diesel engine. A 250-hp Cat 3406 provides auxiliary power, including the 75-hp DMC Hydra-Drive cutter system. Gearmatic and Braden winches power the hauling and hoisting components. Assembled dimensions of the basic 3-piece hull measure 50’ x 20’ x 5’, supporting a 32’ ladder. 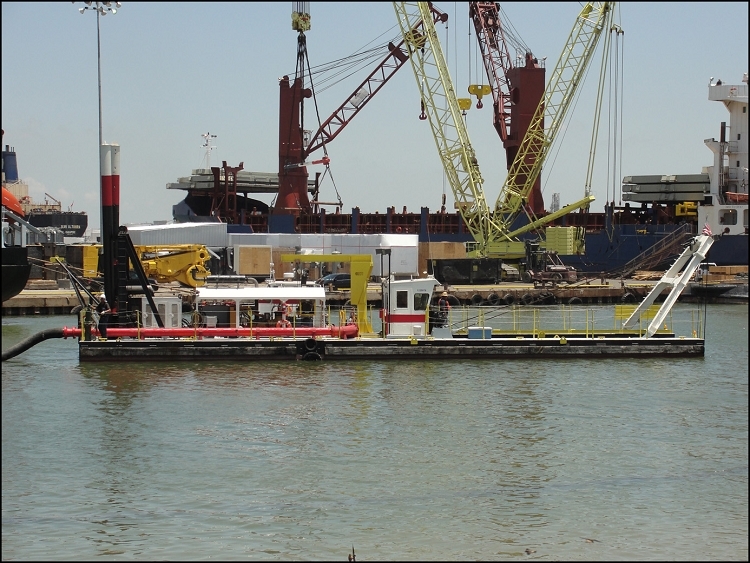 The package also includes a 30’ ladder extension, with 22’ side pontoon extensions, for operation in deeper applications. 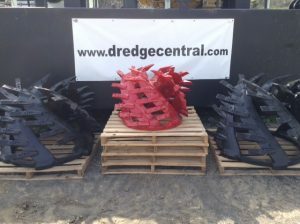 This dredge is immediately available and can be inspected in the Omaha area.